Bike Month is Coming - thanks to many businesses for generous donations!! With a busy Bike Month almost upon us, I (Amy) have been contacting many local and regional businesses requesting donations for our events such as Bike to Work Day and the APAL Bike Rodeo. I’m thrilled to report that we got a lot of generous donations from businesses both new and old, local and regional! 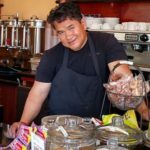 Pat, who owns Bua Luang Thai Cuisine and Tay Tah Cafe , has supported AS&R for years with lunches and coupons for our event volunteers. She again will be giving us discount coupons for me to pass on to volunteers for our Bike Month events. 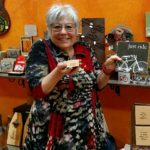 Fern donated gift cards for AS&R’s volunteers so check out her shop’s cool bike section! 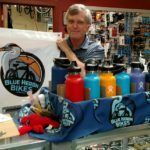 Fern Solomon of Fern’s Garden gave us some gift cards for hard-working volunteers…and Rob from Blue Heron Bikes will also give surprise gifts to those who help AS&R out during Bike Month! Thanks, Mike, for donating pastries for our Energizer Station again! 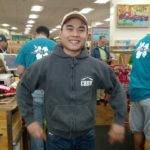 Dao from Trader Joe’s El Cerrito (groceries and cups!) and Alexandra from Barney Butter have all pledged AS&R product donations to help make our Energizer Station the place to be on the morning of May 10th. Semifreddi’s is donating freshly baked bread for all of you/us, too, and GU Energy is giving us gels to power our rides!!! Our local Safeway and Sprouts are donating groceries so we’ll have enough for everyone who comes by. SO YES, WE NEED YOUR HELP IN DISTRIBUTING ALL THESE GOODIES (AND MORE!) TO 600+ CYCLISTS! Contact Ken McCroskey at kenmccroskey@gmail.com or Amy Smolens at calamari@alumni.duke.edu or leave a comment on this post – THANKS TO ALL! …and we can always count on Rob’s generosity! 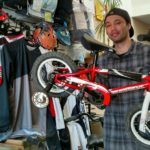 Winston from Berkeley Bikes & Skateboards and Rob from Blue Heron will both be on hand to give safety checks to everyone who rolls by. 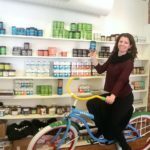 **SPECIAL BIKE MONTH DISCOUNTS WHEN YOU BIKE TO LOCAL RESTAURANTS!! 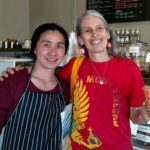 Local supporting business Tay Tah Cafe is offering Buy One Tapioca Drink (Boba) Get One of same flavor FREE if you bike there Monday-Fridays during May, Bike Month!! 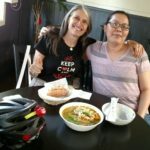 And bike to Bua Luang Thai Cuisine this month and when you buy one kids’ meal you’ll another kids’ meal free! Plenty of bike parking at both locations!! Got almond butter? We’ll have plenty of Barney Butter at our Bike to Work Day Energizer Station so stop by!! Fresh Semifreddi’s bread, coming your way! !